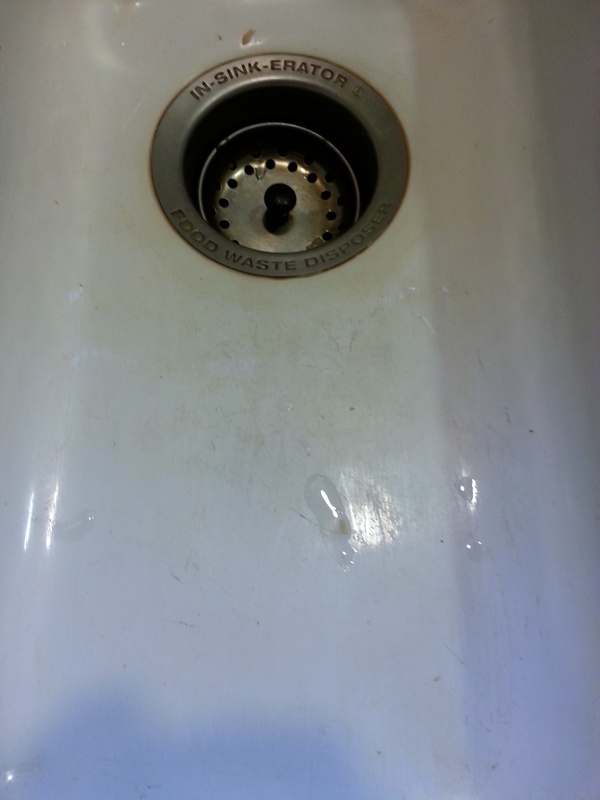 How to clean stubborn stains from a porcelain sink – effortlessly! Porcelain kitchen sinks look nice on the showroom floor, but anyone who has one in their home knows how easily they stain and how hard it is to get the stains out. When I moved into my current place, it was the first time I’d lived with a porcelain kitchen sink. After just a few months I wondered if I should have chosen a different place to live just so I wouldn’t have to deal with that stain magnet. You can clean and clean, and still those stains don’t come out. A few years into living in the current place, I was reading a WildForWags post about Fixodent denture tablets that were free after coupon at Walgreens. Christie, the blogger at WildForWags, mentioned that denture tablets are great for cleaning tea stains from china cups, so I decided to try it in my sink: fill the sink with hot water, drop in a bunch of tablets, and the stains bubble away. I picked up several boxes at Walgreens and went to work. 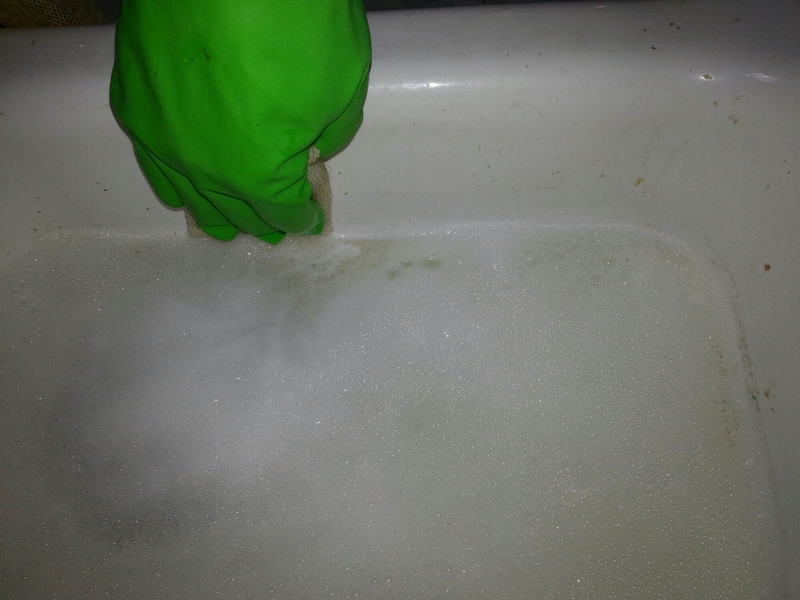 The denture tablets made the sink sparkle like it was new, and I stopped hating my porcelain sink. But I eventually ran out of tablets, and they aren’t exactly an economical household cleaner when you buy them at full price. So I went upstairs to the kitchen, plugged the sink, and sprinkled in 2 or 3 scoops of oxygen bleach. Then I poured in a kettle of boiling water and let it sit. Voila! 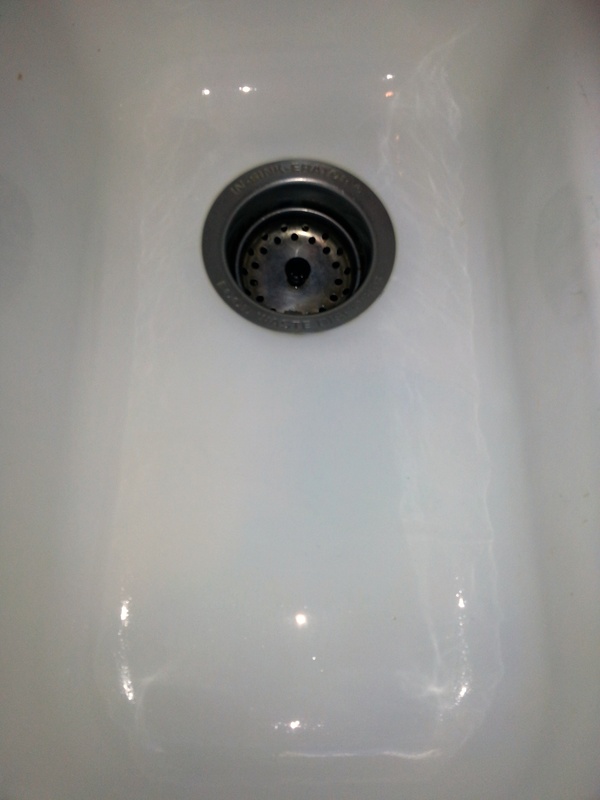 After about an hour, the sink was as clean as if I’d treated it with 10 denture tablets – which means it was astoundingly clean. Wipe down the sink to remove any bits of stuck-on food. 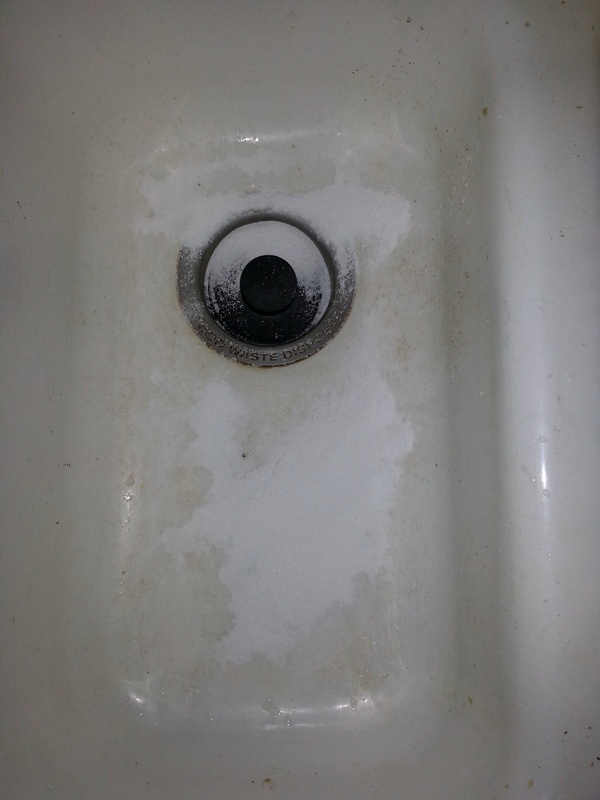 Sprinkle the bottom of the sink with 1 to 3 scoops of powdered oxygen bleach. The amount you need depends on the size of the sink. Heat a kettle or pot of water to boiling. Pour the boiling water into the sink. 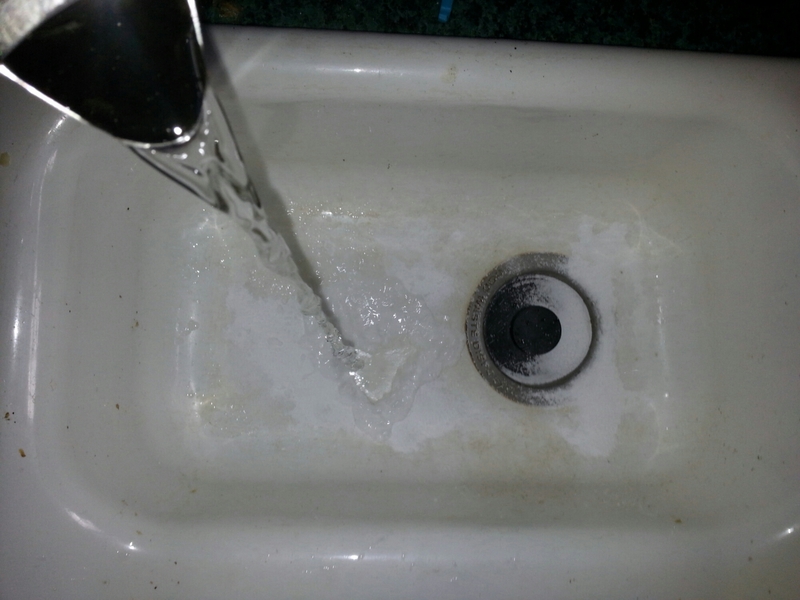 Use enough water to completely cover the bottom of the sink. The water will be bubbly and the kitchen might smell a little soapy for a few minutes; if you don’t like that, throw in a drop of essential oil or boil some orange peels on the stove. 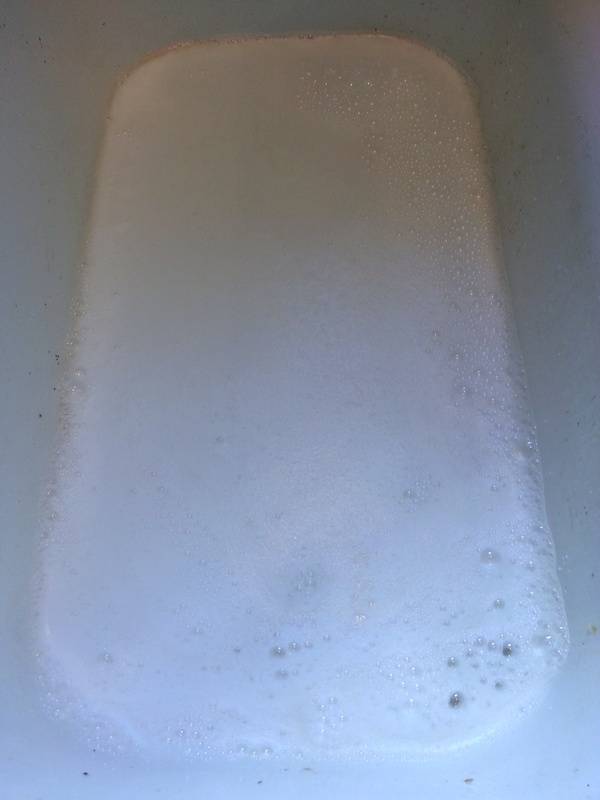 When the water is still hot but not scalding, take a sponge and rub down the sides of the sink with the hot water-oxygen bleach solution. Let it sit for an hour or two. Rinse the sink with clean water. Take a picture and post it on Instagram, ‘cause that thing is sparkling! How often you need to do this depends on how much cooking you do, the kinds of foods you eat, and weather you leave coffee grounds or pots and pans sitting in your sink. Oxygen bleach will remove gray metal stains left by metal pots and flatware, but it won’t remove rust stains. For that, you’ll need to finish the job with Bar Keeper’s Friend. Take college courses online – for free! Stores stock it in the laundry section. Probably the most well-known brand in the U.S. is OxyClean. Great! I'm glad you found it helpful! Great article. Sometimes the most useful chemical is a bleach. I could only imagine how useful is Bar Keeper’s Friend.I have never used it. I am going to use it next time when I am cleaning. Best regards! This is oxygen bleach, so it wouldn't damage the pipes. Good luck!